Ocala, Florida — On Tuesday, May 20, 2014, at approximately 6:00 p.m., Detectives Daniel Clark and Jessica Wong arrested Michael Stephen Ziebart, III, 23, on charges of Dealing in Stolen Property and Violation of the Florida Pawn Broker’s Act – a total of 41 charges — so far. Ziebart was, at the time, an employee of the Marion County School Board (MCSB); assigned as a Wiring Technician with an approximate yearly salary of $32,000.00 per year. On May 16, 2014, a representative of Mark’s Jewelry & Pawn contacted the MCSB to inquire about whether or not a program existed for employees to purchase used equipment from them. This inquiry was due to Michael Ziebart having pawned two projectors on May 16, 2014, one still had the packaging receipt inside the box. The Manager of the Electronics Department of the MCSB confirmed the equipment as belonging to MCSB and Ziebart not having permission to take or pawn them. The incident was then reported to the Ocala Police Department and upon investigation, it was found that Ziebart had pawned several items at various pawn shops in the City and County since September of 2013. The items pawned were not only equipment belonging to the MCSB, but also firearms that had been stolen from Ziebart’s uncle. 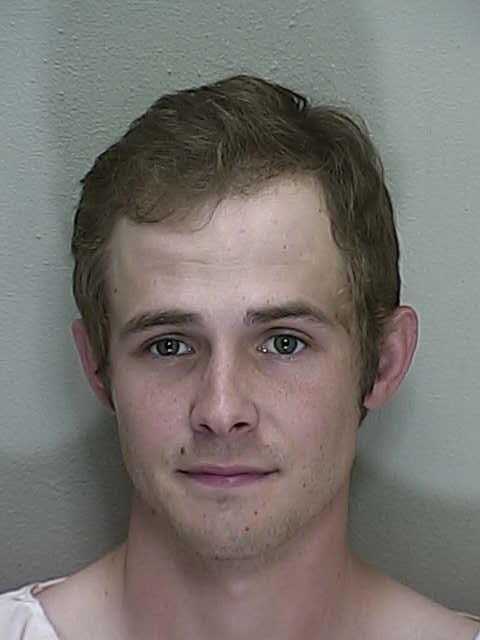 On May 20, 2014, Ziebart turned himself in at the Ocala Police Department and was interviewed by Detectives Clark and Wong. Ziebart confirmed pawning the items in question without the permission of the owners. He advised that he did it to fund a drug habit. So far, Ziebart has received 41 charges in 20 cases. He received a total of $2,875 for pawning items with an estimated total value of $11,300. His bond was set at $230,000. Ziebart’s employment with the Marion County School Board, which is still in the probationary period, is in the process of being terminated.